The Texas Supreme Court recently decided that a party to an insurance policy that mandates arbitration is not required to enter into arbitration in a dispute that involves another party which is not a signatory to the original contract, even if the issue is related. The case was brought by an insured that purchased insurance policy coverage from a company through an independent insurance agency. The policy purchased stated that any disputes that could not be resolved by mediation be submitted to arbitration. After the insured received an adverse ruling in arbitration of their dispute in part because they failed to provide “timely notice of the loss,” the insured proceeded to sue the independent agency for breach of fiduciary duty and deceptive trade practices. The insured claimed that, due to the independent agency failing to timely submit their claim, their coverage was ultimately denied and they suffered a significant loss. The Texas Supreme Court decided to accept the insured’s case even though the trial court compelled arbitration and the arbitrator favored the insurance company in the dispute because it “challenged the arbitrator’s authority to determine whether a non-signatory [the independent agency] can compel a signatory to arbitrate.” In other words, because the independent insurance agency was not a signatory to the original contract requiring mediation and arbitration if a dispute arose, the insured and the agency did not technically agree to arbitrate any matter. 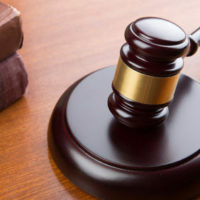 In mid-June, the Supreme Court of Texas also ruled that a workers’ compensation insurer cannot collect pending settlement proceeds from an injured worker who was awarded a third-party claim that stemmed from a compensated injury. Specifically, while Texas grants insurers the right to seek reimbursement after injured workers collect from suing a third party (related to their injury), it is possible for the insurer to waive that right. The Court made this decision because the insurer’s policy specifically stated that the carrier’s right to recover from the third party; if a contract states that the insurer cannot recover directly from a third party, it also cannot recover indirectly from any settlement the third party pays to the injured employee. It is crucial that insurance contracts be drafted so that any included arbitration clauses and other important provisions are enforced when there is a dispute with any party involved in the insurance dispute. It is crucial that you work with attorneys who understand this, and preemptively address this, so that it does not cost your company in court. If you are an insurance company or independent insurance agency and are dealing with a contract dispute or any claims brought under the Texas Deceptive Trade Practices Act, contact us at Colvin, Saenz, Rodriguez & Kennamer, L.L.P. today to find out how our Texas corporate liability defense attorneys can help.